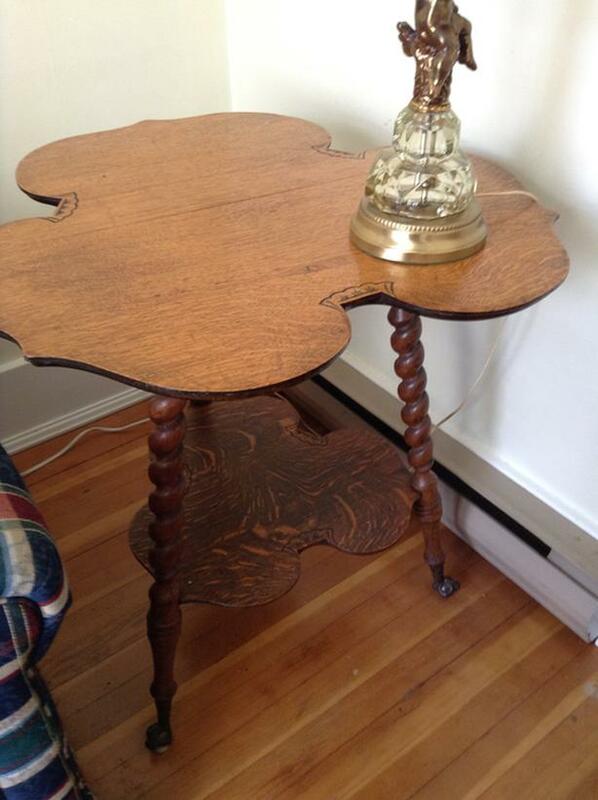 Canadian, Golden oak, barley twist, clover parlour table on glass ball and claw feet. Circa 1900. Appraised $600. Asking $300. Feel free to make an offer.